In a recent study entitled “Myelin oligodendrocyte glycoprotein (MOG35-55)-induced experimental autoimmune encephalomyelitis is ameliorated in interleukin-32 alpha transgenic mice,” a team of researchers investigated whether interleukin (IL)-32, a cytokine with an established role in rheumatoid arthritis, has a protective function in a mouse model of human multiple sclerosis (MS). The study was published in the journal Oncotarget. MS is a neurological autoimmune disease characterized by immune destruction of the myelin layer within nerve cells, leading to a wide range of neurological symptoms (affecting sensory, motor, autonomic, and neurocognitive functions) that usually manifests between the ages of 20 and 40 years old. Currently, MS affects approximately 350,000 individuals in the United States. IL-32 is a novel cytokine (cytokines are small proteins with key functions in cell signaling) expressed in a variety of human organs1 — including the spleen, thymus, leukocyte, lung, small intestine, colon, prostate, heart, placenta, liver, muscle, kidney, pancreas, and brain. IL-32 expression is increased in rheumatoid arthritis, a chronic inflammatory disorder, where its levels correlate with clinical and histological markers of the disease. The role of IL-32, however, on central nervous system injuries and demyelination is currently poorly understood. In this new study, a team of researchers investigated how IL-32α may affect MS pathogenesis. To this end, they induced in vivo experimental autoimmune encephalomyelitis (EAE), an experimental and widely accepted mouse model of MS, by injecting mice with encephalitogenic peptide, MOG35-55. The same strategy was used in a transgenic mouse that overexpressed the human IL-32α protein (IL-32α transgenic mice). The team had previously shown that IL-32α mice showed reduced release of pro-inflammatory cytokines when compared to controls (non transgenic mice). The researchers then observed that EAE symptoms in terms of paralysis severity and neuropathology in IL-32α transgenic mice were significantly reduced compared to non-transgenic controls. Further studies revealed that infiltration of immune cells, astrocytes/microglia activation (non-neuronal cells of the central nervous system with immune functions) and pro-inflammatory cytokines (IL-1β and IL-6) levels in IL-32α transgenic mice spinal cord was suppressed, together with markers of spinal cord damage. 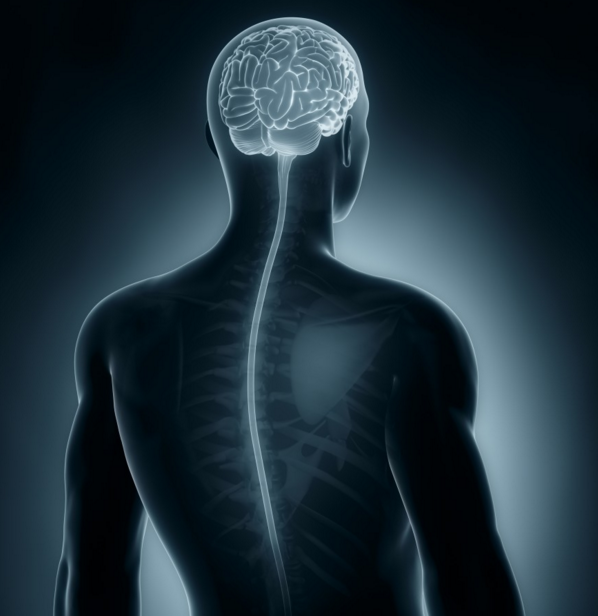 Findings from the study indicate that IL-32α may suppress EAE by inhibition of neuroinflammation in the spinal cord, suggesting IL-32α as a potential new therapeutic avenue on MS to be explored.